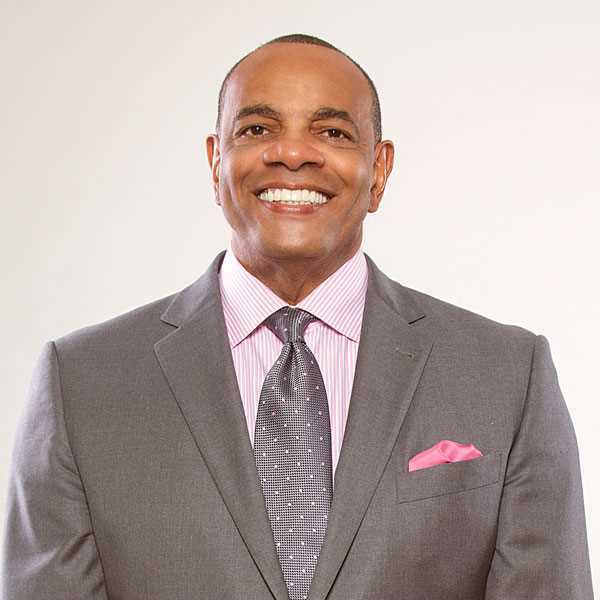 Lionel Hollins is a former National Basketball Association (NBA) player, an NBA coach, an active participant in the community, and a dynamic speaker. Selected 6th overall in the first round of the 1975 NBA Draft by the Portland Trail Blazers, Hollins earned a spot on the 1976 All-Rookie First team and went on to win an NBA Championship as a starter for the Trail Blazers in 1977. A year later, he was an NBA All Star and named to the NBA’s All-Defensive team two years in a row. After his lengthy playing career, he was inducted into the Halls of Fame of NJCAA, Arizona State University, Nevada High School Basketball, Southern Nevada Sports and the Pac 10. In addition, he had his numbers retired and raised to the rafters by Arizona State, Dixie College, and the Trail Blazers. With over 30 years of coaching experience, Lionel has coached on all levels (AAU, college, the minor leagues, and the NBA), and has become a well-respected coach and developer of players on and off of the court. He has coached with seven different teams with the majority of his coaching being done with the Memphis Grizzlies, formerly known as the Vancouver Grizzlies. During his stint with the Grizzlies he became the winningest coach in franchise history with an improved record each season. He led them to three straight playoff appearances, their first playoff win, the franchise’s first playoff series victory, and had the best season with 56 wins that led them to the Western Conference Finals. He also received the honor of being coach of the month four times. Hollins has also been a prominent part of the Memphis community for 13+ years. He mentored young men at Grizzlies Prep and created Lionel Hollins Charities (LHC) to further his passion of giving back. Through the charity he raised funds to provide backpacks, supplies, and uniforms to underprivileged students, set up a mentoring program, donated bikes and books to children, and helped start a community garden to promote healthy eating habits. He was also a spokesman for the Healthy Shelby’s 140/90: Living Life Under Pressure campaign. He is an ambassador for St. Jude Children’s Research Hospital and has raised thousands of dollars for the organization. He also supports several other charities and organizations across the country. In addition to his community involvement, Lionel is also a compelling speaker. Lionel Hollins speaks all over the country talking to audiences about leadership, adversity, and success. He has boosted team morale for corporations like Comcast and Hilton Timeshare and has spoken to the Rotary Club and members at Memphis Streets Ministries. From his commencement speech at Southwest Community College to his talks at various schools, churches, and basketball camps, Hollins motivates and inspires people young and old alike. Lionel was born in Arkansas City, Kansas and was raised by his grandmother in Las Vegas, Nevada. In his free time, Lionel likes to spend time with his beautiful wife Angela of 34 years, their four adult children and their two grandchildren. He enjoys reading, playing golf, and completing crossword puzzles. He currently resides in Memphis, Tennessee. 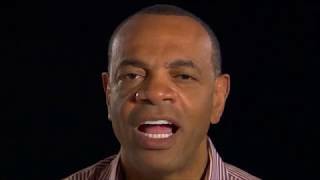 To book NBA Motivational Speaker and Coach Lionel Hollins call Executive Speakers Bureau at 901-754-9404. Coach Hollins is known for being the Memphis Grizzlies’ all-time winningest coach—leading them to three straight playoff appearances, their first playoff win, and the first playoff series victory in franchise history. As a former player and NBA coach of 30+ years, Coach Hollins knows how to lead on and off the court. Lionel has had first hand experience fostering a positive culture, motivating a team, managing crises, and bringing out peak performances. From dealing with different player’s personalities to complaints about minutes played in a game or chances at shots, Lionel has learned to acknowledge that there is a problem, identify the problem, use quantitative data to back up his points and then present a resolution based on the data. He has also helped players, such as Mike Conley and Marc Gasol, bring out their best by identifying and then believing in their talent, setting high expectations, and by getting them to believe in their own talent. With all of his experience, Lionel has the leadership qualities and knowledge necessary to help you become a more efficient leader. Growing up in West Las Vegas in the 50’s and 60’s, in what would be considered a poor neighborhood, during desegregation, Lionel learned to overcome his circumstances and become one of the first in his family to leave Vegas and attend college. Having lost his mother at a young age and having an absentee father, Lionel relied on first his grandmother, then the countless mentors in his life such as his elementary teachers to help him navigate his way out of Las Vegas. With a successful career in the NBA one would think that life post playing would be smooth sailing but for Lionel that was not the case. Among the uncertainties that Lionel faced, he made it a point to finish the college degree that he started before playing professionally. After ten years of being out of the classroom, Lionel went back to college and received his diploma. Throughout his childhood and adult life, Lionel has had to deal with various struggles and will inspire anyone to rise above their situations to be the best that they can be. Lionel Hollins developed and started his own charity. The importance of giving back was taught to Lionel at a young age and as he has gone through life, that lesson has stuck with him and continues to drive him today. Lionel Hollins Charities (LHC) was created as a way for Lionel to pay it forward to the community. There were several individuals that impacted Lionel’s life that he met through volunteer programs that he participated in as a youth. These influential people taught him his responsibility in giving back and the saying, “each one, reach one.” All of the people that made an impact in his life helped direct, guide, and lift him up. LHC blossomed as God showed Lionel how he could leave his positive mark on young lives as was once done in his own life. The charity targets youth and started by raising money to purchase school supplies and grew to add on a mentoring program, a bike give away, a health fair and free hair cuts. LHC is now focused on education and is committed to helping bridge the gap of academic deficiencies in elementary school students. Through life stories and experience with his own charity, Lionel discusses using your talents and gifts to bless others, live purposefully, give hope, encouragement and inspiration. Told through memories from childhood and life experiences, Lionel describes his journey with the Lord. He talks about the defining moments that made him question the Lord and those that brought him closer to Him. Lionel discusses his reliance on God and how when he keeps the Lord first, everything falls into place and there is no question that God had his hand in a particular situation. GERMANTOWN, Tenn. — Former Memphis Grizzlies Coach Lionel Hollins came to Memphis to coach basketball, but he's staying to make it better. He left the Grizzlies as head coach in 2013, left twice for other coaching jobs, but never stopped calling the area home. Now, he wants to not just live here in Shelby County — he's signed on to help chart its future, as part of incoming county Mayor Lee Harris' transition team. "It's just a great place for raising families. Two of my kids graduated from Germantown High School and so, you know how you get somewhere and it gets comfortable and it's home, and you say what's the point of going somewhere else." The former NBA coach is now entering a new arena: county government. Harris recently tapped Hollins as one of the leaders of his transition team. They'll come up with the slate of individuals who'll oversee everything from the county's finances to the health department to the county correctional facility. "We're going to try and put together a list," Hollins said. "And people will be applying and trying vet people from that perspective as who can be viable and helpful as the mayor goes forward." Hollins says he supported Harris because they both believe in supporting public education and diversifying programs so everyone benefits from government. He plans to use his connections in the business and sports world to help the new mayor improve the Memphis area — an area he once told New York reporters was in the "Stone Age." "I wasn't speaking on Memphis being a negative city. I was speaking on New York being so huge and so fast, and people took it the wrong way." Hollins says basketball is still his passion but we asked if politics is in his future. "I'm doing that right now with this transition team. That's as far as I go," he said. MEMPHIS, Tenn. - From German food to soul food, a new restaurant will soon open its doors in Overton Square. The former coach of the Memphis Grizzlies, Lionel Hollins, is adding to his playbook. He is focusing on food and giving back to our community with his next venture. "It's been home from the very moment I got here, I really like the city. I like the people here, what they stand for, their values and I like the growth," Hollins said. The plan is to open an upscale, Southern-themed restaurant called Bogard's in Overton Square. "We're going to give 2% of all meals paid for here to the food bank and we're also going to give 2% of the beverages sold to the clean water organizations," Hollins told FOX13. He believes the restaurant will be able to donate upwards of 30-thousand dollars to both programs every year. "It is our responsibility as humans to give back and serve our community that we live in to help our communities be as strong as they can," Hollins said. He told FOX13 the name Bogard is actually an acronym for buying one gives another rare dish. "We're going to have you know collard greens, we're gonna have fried chicken, but we're gonna have a healthy menu, we're gonna have salads, we're gonna have baked chicken, baked seafood," Hollins said. The restaurant is still mapping out everything from seating the menu. "We're going to have a gospel brunch on Sundays. We're going to have a jazz brunch on Saturdays. We're going to have spoken word once a week," Hollins said. After 17 years in Memphis, Hollins said this new business allows him to reach out to those in need and continue being a part of this community. "I won’t be involved running the day-to=day. We're going to hire somebody to do that, but when my money is involved, I've got to be involved," Hollins said. Bogard's is expected to officially open its doors in early August. It's located inside of the old Schweinehous restaurant at 2110 Madison Avenue. Former Grizzlies coach Lionel Hollins is teaming up with the director of a local nonprofit to bring a new restaurant — and novel concept — to Overton Square. The restaurant will serve "Southern-inspired" fare in the former Schweinehaus space, and the owners plan to donate 2 percent of net food sales* to the Mid-South Food Bank. They estimate the restaurant will earn more than $30,000 for the nonprofit in its first year. "I’ve been looking for something to do since I’ve been out of coaching, not knowing whether I’m going to get back in or not," Hollins said. "When you have something that, on one hand, makes money but, on the other hand, helps the community, it was a no-brainer." The restaurant is the brain child of Edward Bogard, director of the Memphis-based shoe charity SoGiv, and will take his last name. The idea sprang from a partnership he forged with the food bank in 2014 to allow sales of a special SoGiv shoe to benefit the nonprofit. "It was so fulfilling," Bogard said. "I wanted to do something like that on a more consistent basis." Bogard knew Hollins from a partnership SoGiv had with Hollins' charity. "It’s a perfect location. Midtown is blossoming," Hollins said. And, Hollins hopes the restaurant's success shows other black entrepreneurs that they can be successful in Midtown — a part of town with few black-owned businesses. Eventually, Bogard believes the restaurant will spread "all over the world," in part because it allows people to feel good about where they're eating and in part because of the great food it will serve. As neither Bogard nor Hollins have restaurant experience, Ben McLean of Belly Acres and Tennessee Taco Co. is consulting on the project and designing the menu. Ed Cabigao of South of Beale and Zaka Bowl will be the general manager. The menu is set to include items such as fried green tomatoes, ribs, avocado toast and calamari. The restaurant plans to capitalize each letter in BOGARD, as an acronym for Buying One Gives Another Rare Dish. Mid-South Food Bank communications manager Andrew Bell said he's excited for the novel concept to become reality. "There are some businesses that continually or seasonally help the Food Bank," Bell said. "But, standardizing a part of the restaurant’s business model to financially support Mid-South Food Bank [year-round] is rather unique. An almost equally important aspect is creating exposure about food insecurity in a very popular entertainment district, where patrons are reminded of a serious problem in theircommunity while they enjoy fine dining." Hollins' son-in-law, Preston Butts, will be a minority owner in the restaurant. Loeb Realty Group's Barry Maynard represented Bogard, Hollins and Butts in the lease, which was signed Wednesday and is set for 10 years. Loeb Properties' Aaron Petree represented his company, which owns the building. With as volatile as the restaurant industry is, Hollins said he knows the venture is risky, but he's not one to shy away from risk. "Everything you have a passion for in life is risky," Hollins said. "Every time you go and take a big shot, the possibility of missing is there. [But,] the point is to try to win the game, not worry about losing it." When asked if he plans on ever coaching in the NBA again, Hollins said it is still a hope of his but that he doesn't know if he'll receive the opportunity. Either way, he said he plans to maintain Memphis — where he's lived for 15 years — as his home town. "Memphis is my home. Memphis is my passion," he said. "I love the direction it's going in. I'm excited to be here and call myself a Memphian." *While 2 percent of net food sales will go to the food bank, 2 percent of net drink sales will be donated to clean water charities.